Bonaire saw a big jump in passenger arrivals from calendar year 2016 to 2017 and while the projected gains going forward are more modest, they are still going in the right direction. The strong showing is emboldening island leaders to put forward a proposed head tax increase, coupled with infrastructure projects aimed at improving the experience. From May to August, 2018, the south pier in Kralendijk will be fully renovated and extended, said Harbor Master Gunther Flanegin. Two new mooring dolphins will be constructed and arranged with existing moorings in order to accommodate Freedom-class vessels. The southern Caribbean island of less than 19,000 full time residents hosted a modest 185,000 passengers in 2014, then leapt to 240,000 in 2015. Arrivals nudged forward again to 255,000 passengers in 2016 before hitting 420,000 in 2017. 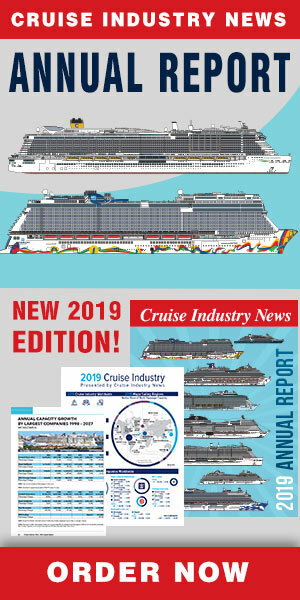 Projections for 2018 and 2019 hold steady at 480,000, according to Xenah Cicilia, cruise operations and product development coordinator at Tourism Corporation Bonaire. At $2 a person, the current head tax is well below other Caribbean ports, officials said. The proposal would raise the tax to $3.50. The island plans to spend $10 million upgrading the middle and south piers to accept larger vessels and provide better service, Cicilia said. Other money from the tax will be used to upgrade areas passengers use most, Cicilia said. Extra personnel, local entertainment to show off authentic entertainment for both embarkation and disembarkation, and more sanitation workers and garbage bins to maintain the islands coveted cleanliness. Money will also go to maintenance of the island’s famed marine park. Another plan will create a free train service to bring people to and from the south pier and center of town.